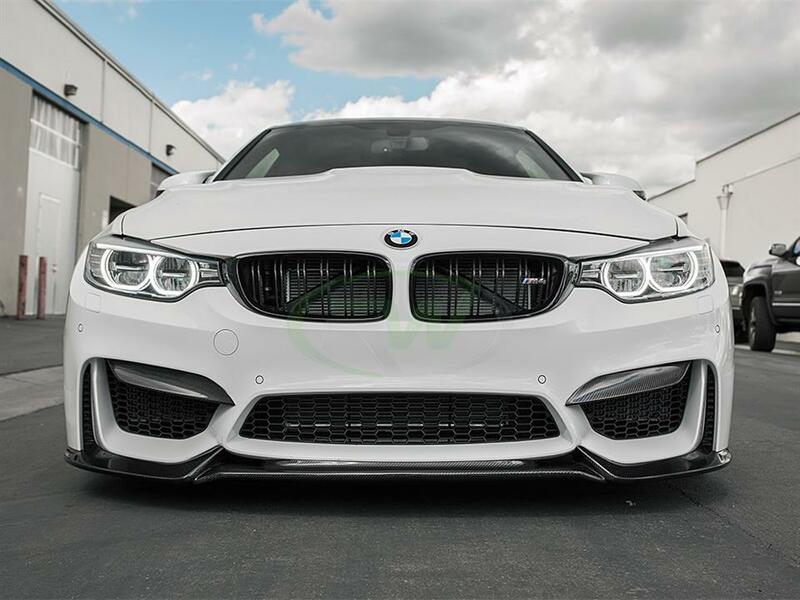 Hot off the press, our newest front lip design for your F80, F82 or F83 - The Varis Style Carbon Fiber Lip. 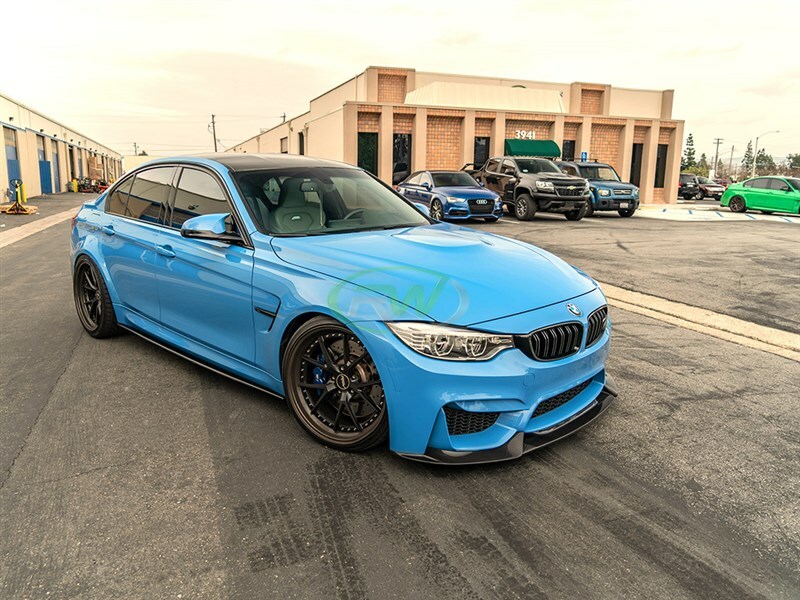 Just like our other F8X carbon fiber lips, the Varis style lip features high quality 2x2 weave finished with a nice clearcoat to ensure no fading or discoloring occurs. 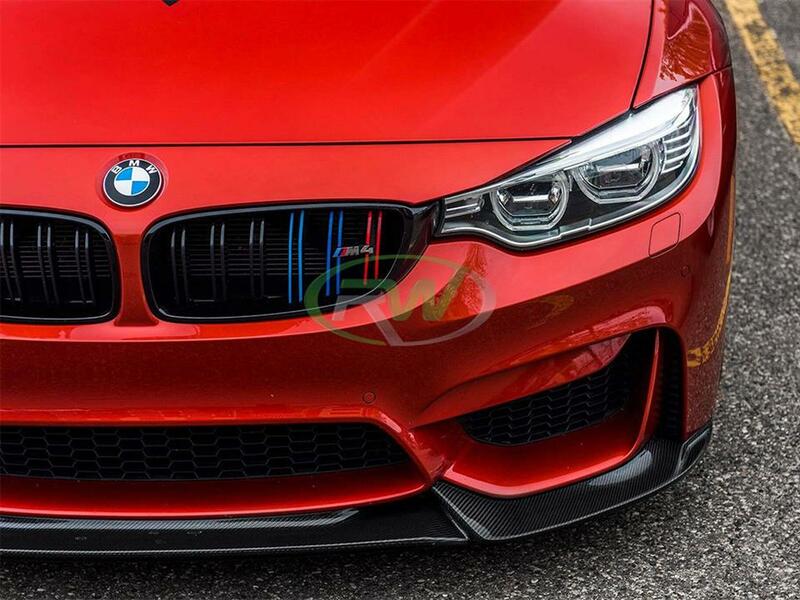 If you have other carbon parts from us or BMW Performance on your M3 or M4 already this lip will perfectly match them in weave. 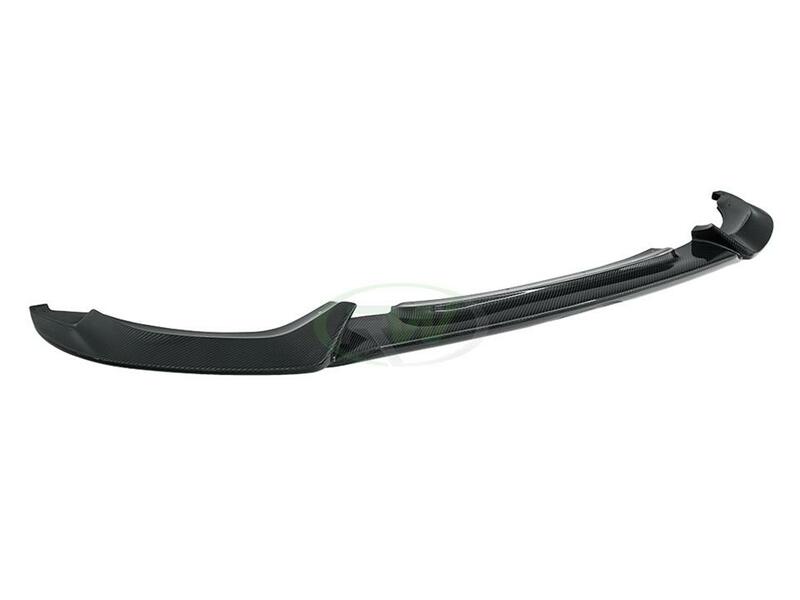 For easy installation the lip comes pre-drilled, simply secure with self taping screws and you are good to go. 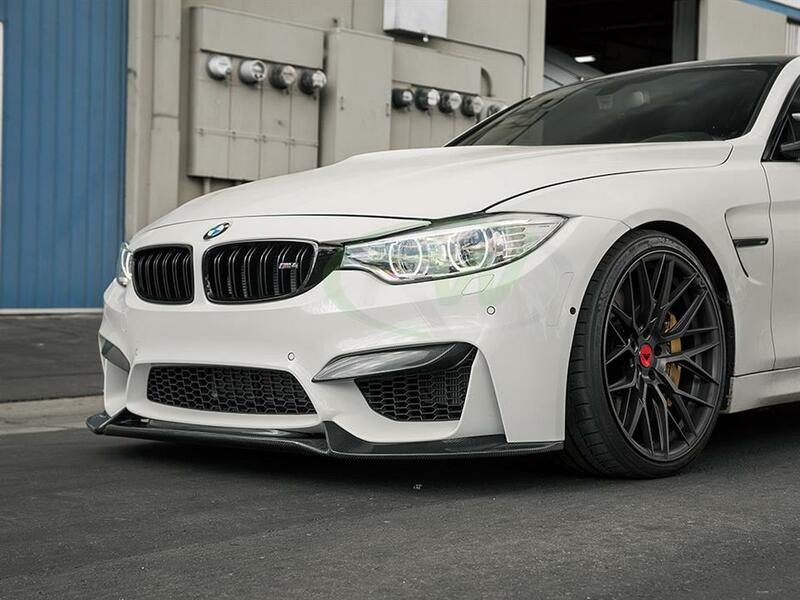 The F8X Varis Style Carbon Fiber Lip will fit all 2015+ M3 sedan and M4 coupe/convertible applications. 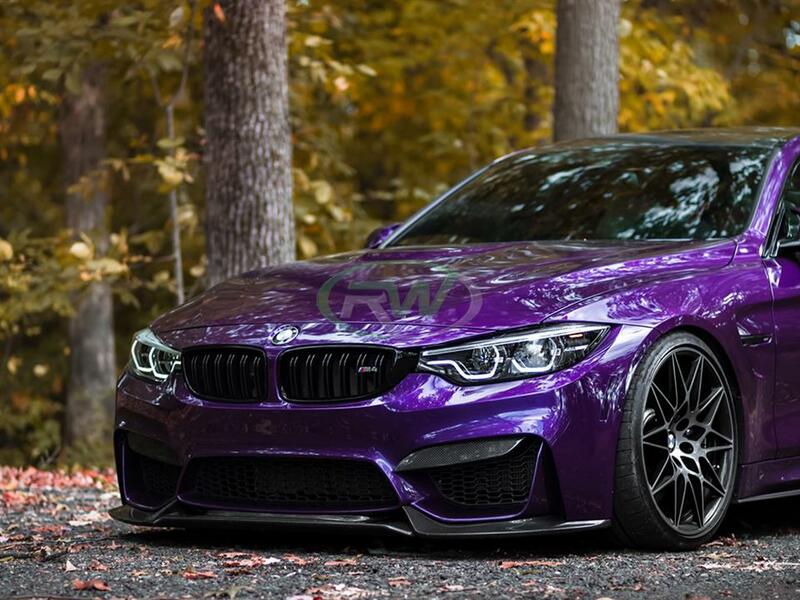 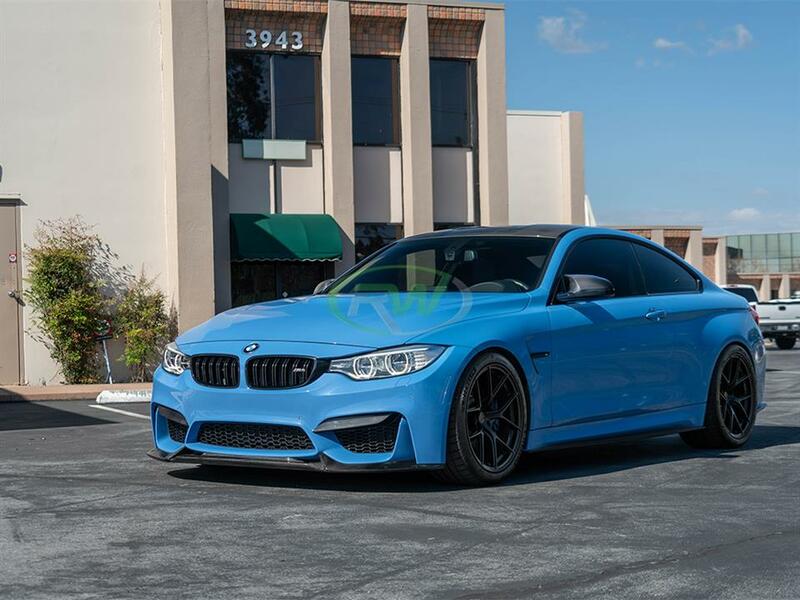 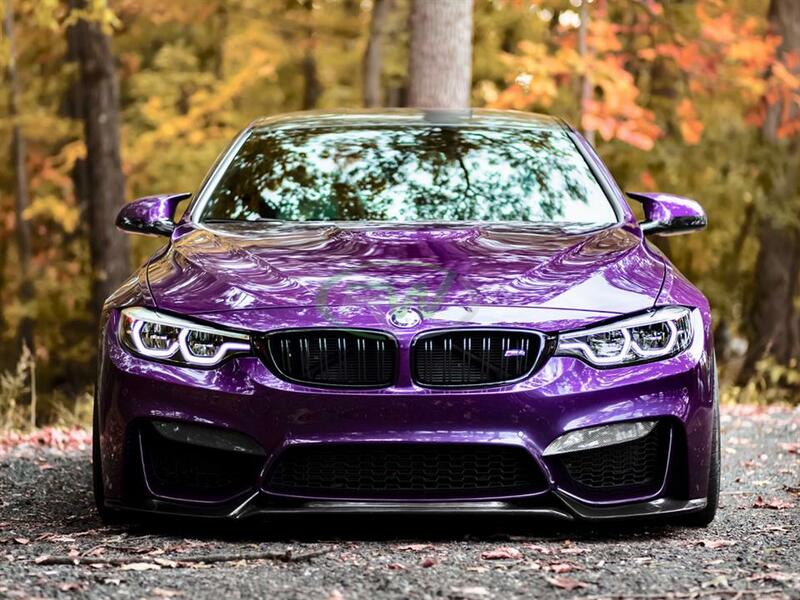 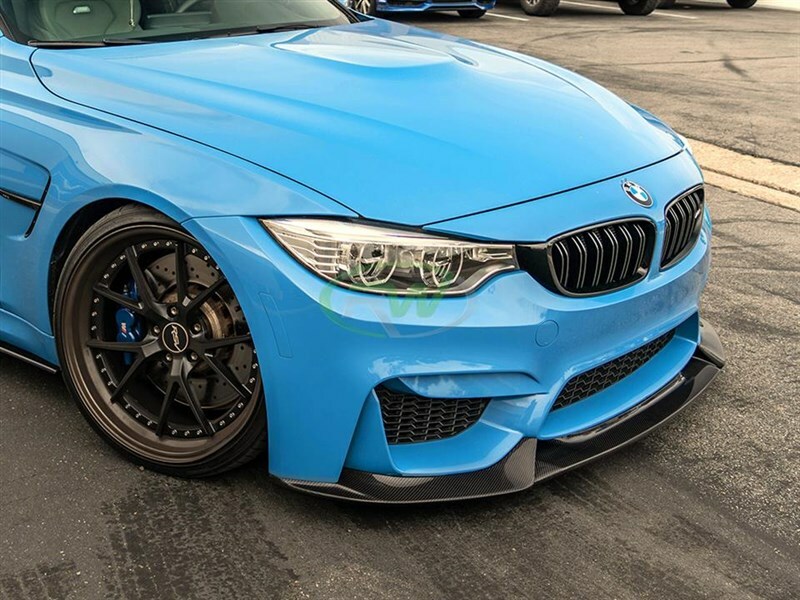 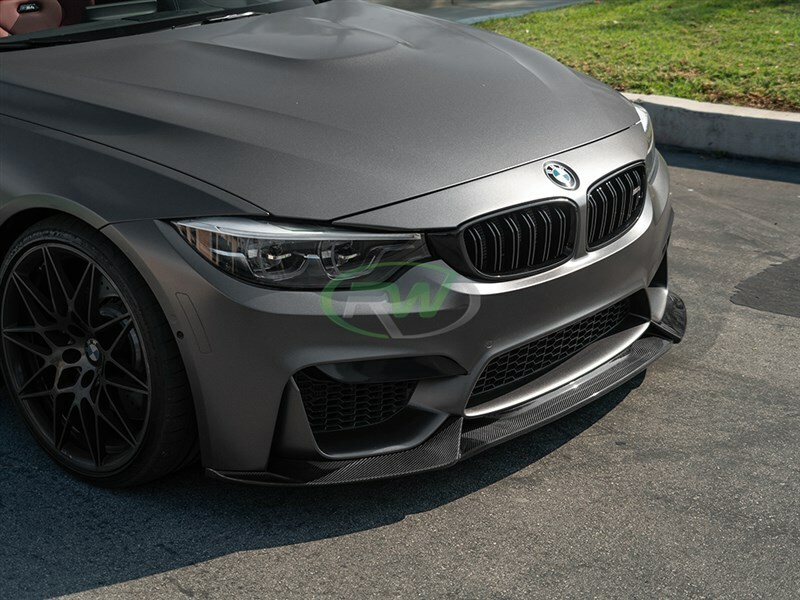 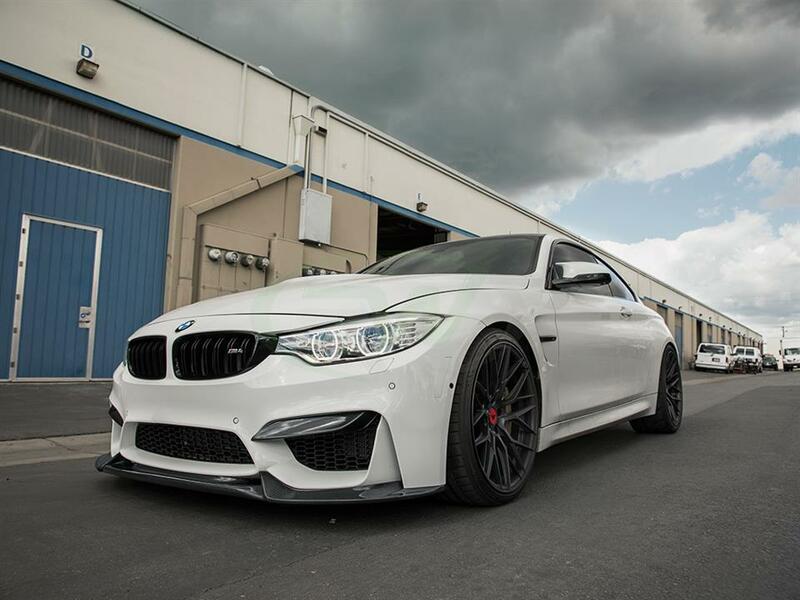 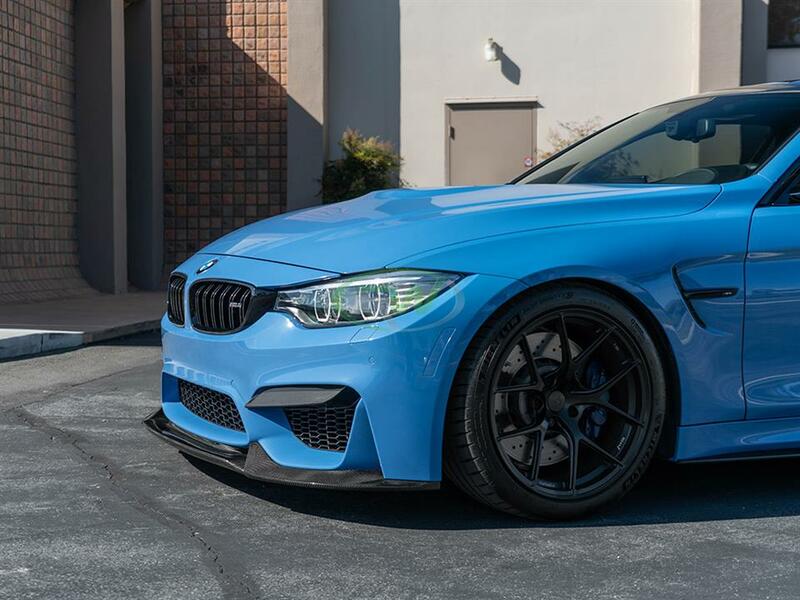 Expect great fitment and superior quality when you choose RW Carbon for your F80/F82/F83 Carbon Fiber Varis style lip. 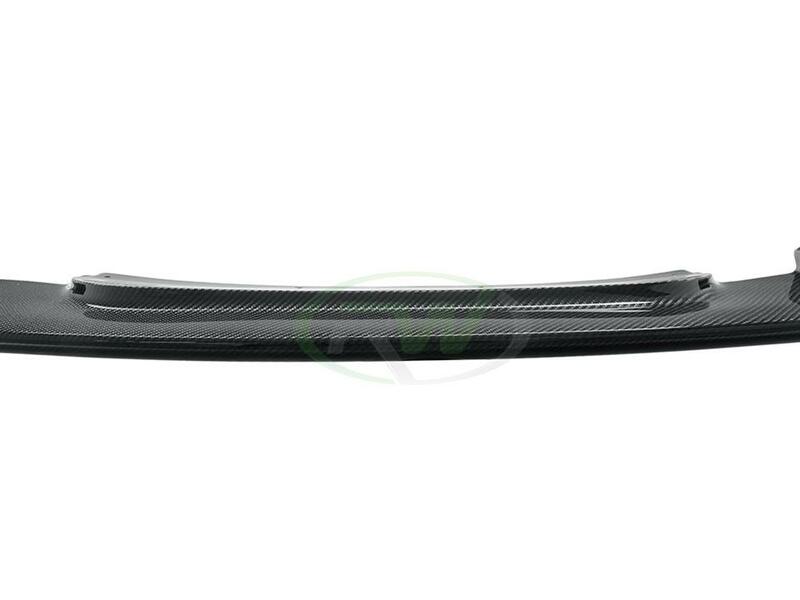 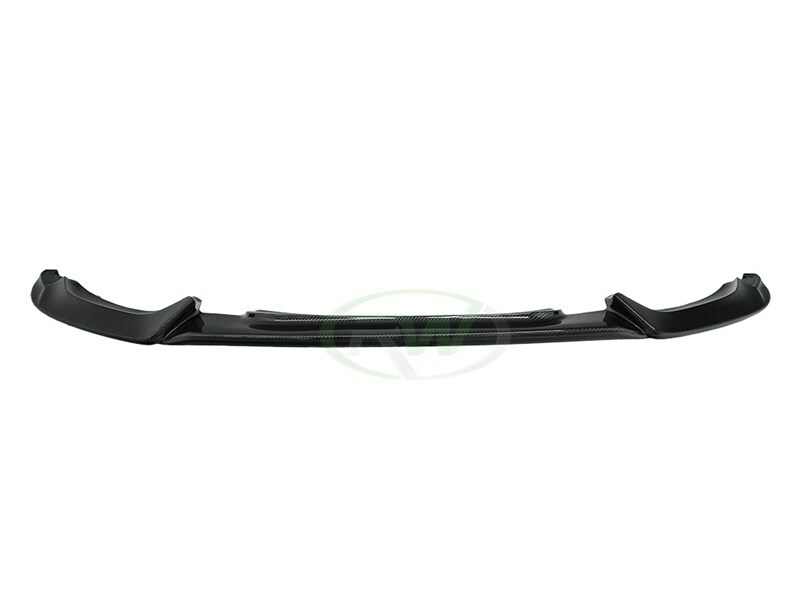 RW Carbon highly recommends that this Varis style lip spoiler be installed by a professional. 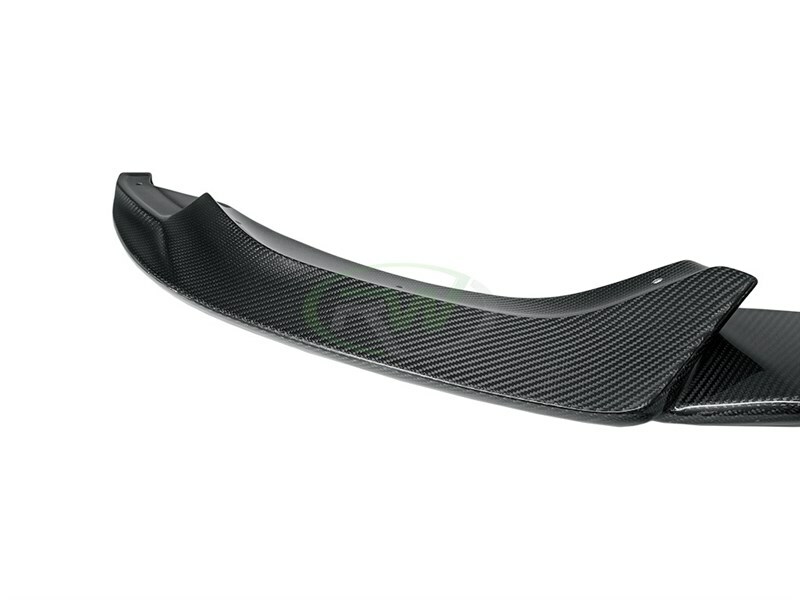 The lip does require trimming of the OEM splash guards and requires the use of self taping screws. 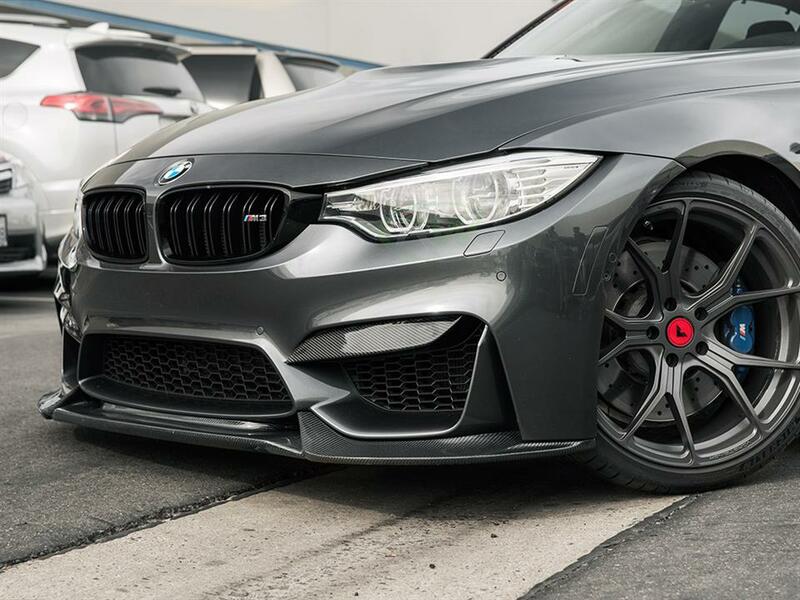 I have had the lip on my M3 since the day I bought it in May 2016. 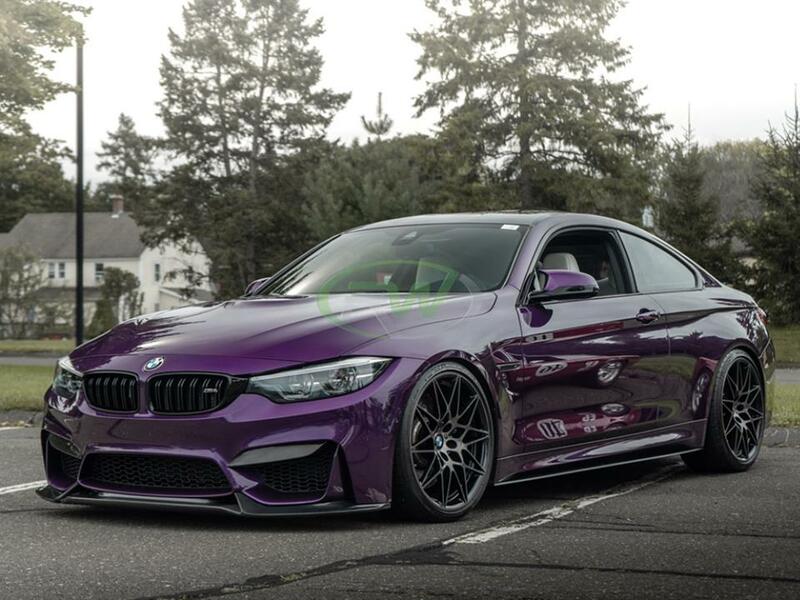 Fast forward to October and it still looks brand new and the mount job is rock solid. 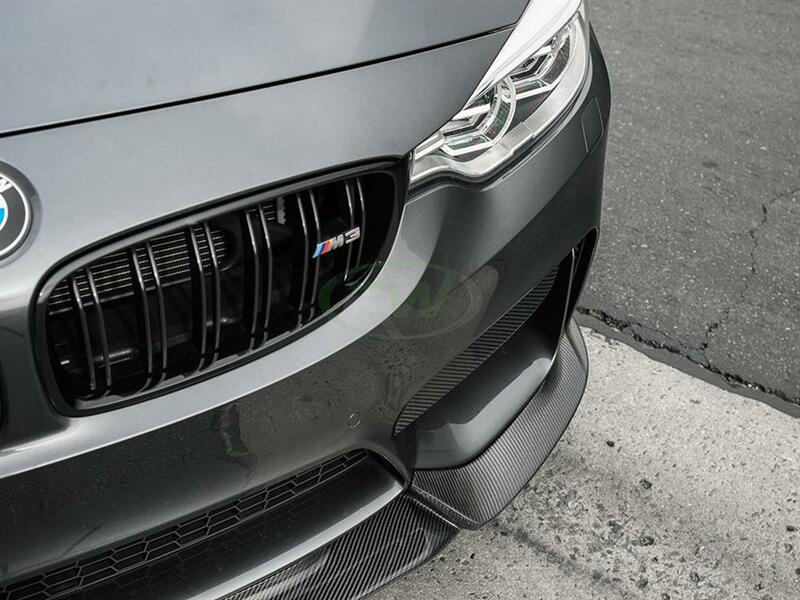 Weave perfectly matches bmw performance parts such as interior trim and exterior accessories.